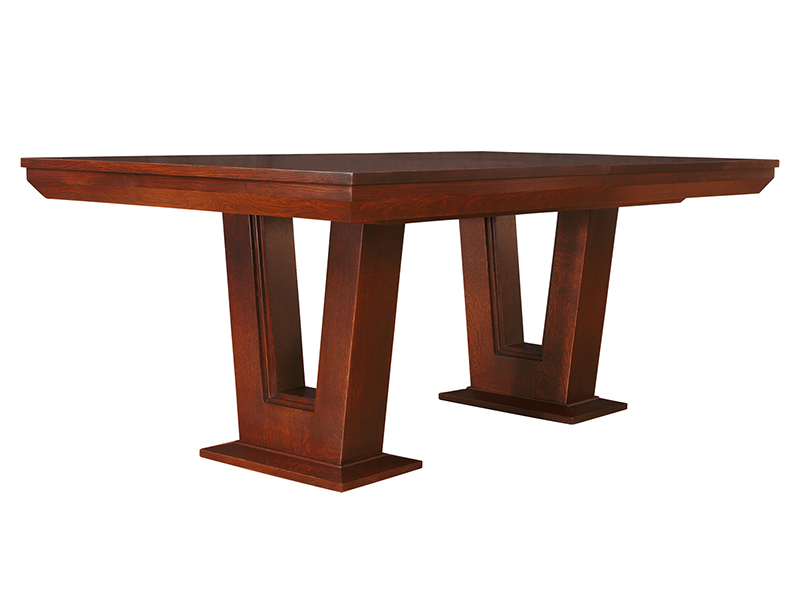 Distinctive v-shaped pedestal bases with open centers support a solid wood top. 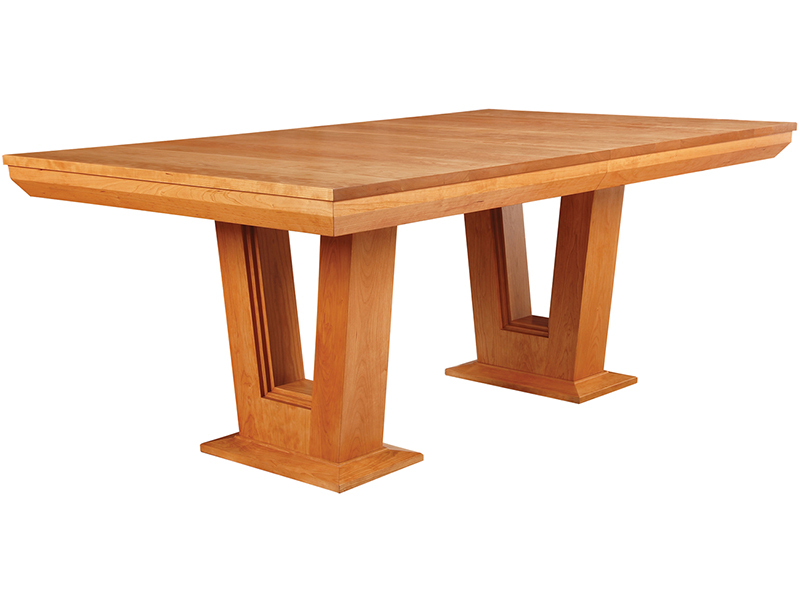 An inner velvet lined storage compartment holds four 12” leaves that allow the table to extend to 122”. Available in solid oak or cherry.